Screw you, consumerist-driven, money-mad Black Friday! Avoid mental shoppers and, instead, show some love and save some dosh by making these delightful outdoorsy trinkets, the perfect Christmas presents for adventure lovers. I LOVE knitting, despite only knowing how to do the most basic stich there is. Knitting is insanely therapeutic and really easy – try tutorials on Youtube to master the skill. I knit a lot for friends and most of my close mates now own a wonky scarf I’ve made them, which they usually pretend to love. Scarfs can take me a while, but a really quick present fix is a knitted snood or infinity scarf, which is also perfect for wearing on mountain walks or when you’re skiing. Knit a short, wide scarf, cast it off at both ends and then sew together with thread of the same colour. I’m obsessed with these delicate-yet-strong cord bracelets made by the cool kids at Honestly, WTF. Colourful, easy to make and reminiscent of summery days spend rock climbing, they’re the perfect unisex gift for outdoors lovers. Check out the step-by-step instructions – once you’ve made one you’ll be addicted. For a more grown-up look, make them with leather cord. A great way to cheer your mate up in the depths of winter is by bringing the outdoors in with some potted plants. It doesn’t matter if your friend hasn’t got a garden or much room to spare – all you need is a windowsill. 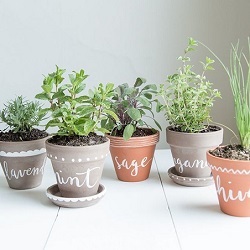 Buy terracotta pots from a garden store and give them a lick of white paint – I like writing the name of the resident herb on the front. If you want to give plants in your pots, too, I’ve found that chives, rosemary, lavender and mint are all pretty hard to kill. They all smell lovely and you can cook with them too. Bonus. Give the hungry gym bunny in your life a bag of coconut protein balls made with your own fair hands – a no-guilt treat for them for their January workouts. 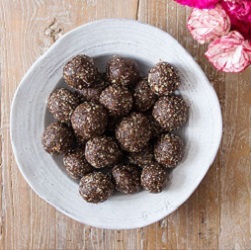 I like making these tasty and healthy balls from Deliciously Ella. She mixes desiccated coconut with almonds, dates, nut butter and cacao to create these morish bites, which she says “give you instant energy to help you out of that mid-day slump.” Head to her website for the full recipe, then dress them up in brown paper bags and ribbons to give to fitness fans. Sugar scrub for chapped mountain lips. Wooden branch hooks for hanging up your waterproofs. A fairy mushroom circle for woodland-loving kids. 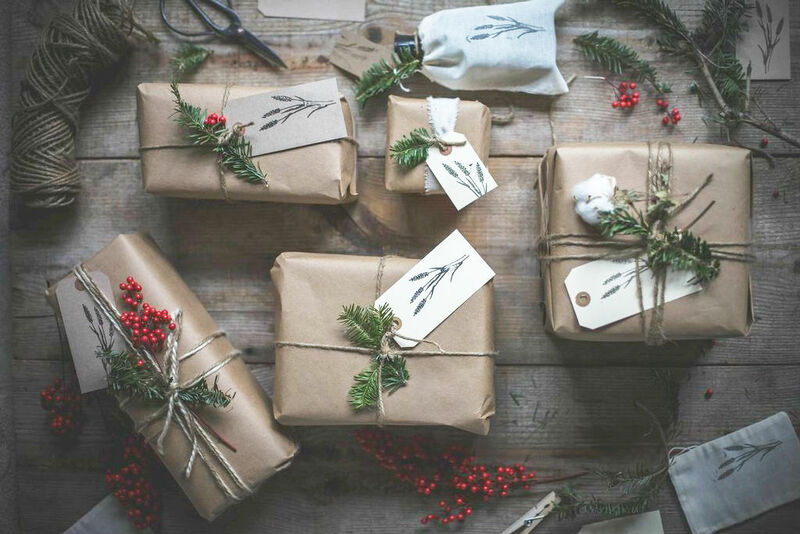 Wrap up your homemade stash in style – brown parcel paper makes for beautiful wrapping paper which can be recycled or used as kindling for your Christmas Day fire afterwards. Wrap with twine and use natural finds such as fallen pine twigs to decorate. I’m wrapping in brown paper, with a white paint stamp and twigs this year! Much more cost effective! cute! send me a picture when you do! My attempts at knitting so far have only produced the tiny tiny hats that innocent smoothies put out at Christmas time. The first one took over an hour, but I would love to have the patience to knit a scarf or snood for my friends. A snood is a genius gift!! I’ve been looking for something to knit and you’ve finally solved my conundrum. 🙂 Awesome, awesome gift ideas.